Now, I’m not saying that I “called” it or anything, but here’s a post I wrote back in January which seems to be pretty relevant right now. Just substitute “Shortstop” for “infielder,” and ignore the part where I describe Tejada as a decent hitter. I’ll just leave this here until a) we get a new shortstop, b) I get it together enough to write a new post. No word on which will happen first. After what can only be described as a long, emotional, and ultimately fruitless negotiating session, Edgar Renteria has signed a contract with one of the 29 non-Giants baseball teams, the Cincinnati Reds. He’ll be earning 3 million for one year, and will probably start a good amount of the time, as Reds (and former-Giants) coach Dusty Baker has said that he’ll let Renteria and Paul Janish (.260/.339/.385) compete for playing time. Congrats, Edgar, and more power to you. I appreciate the huge role you played in winning the World Series, and, well… not much else. Renteria was paid (note, I didn’t say “earned”) $10 million for a 2010 in which he was mostly injured, and $8 million for a 2009 in which he played like he was. If you’re an adherent to the “Perfect Storm” approach to the Giants 2010 championship season, in which every little thing added up to a World Series win and therefore must have contributed in some way, then sure, Renteria’s 7 hits in the World Series made up for his expensive contract and bad playing of the past two years. Never mind that he went 1-for-16 in the NLCS, but I digress. To me, Renteria falls into the same category as Bengie Molina. I appreciate his service, but we’re both better off since we parted ways. Thanks, Edgar, but don’t call us. We’ll call you. 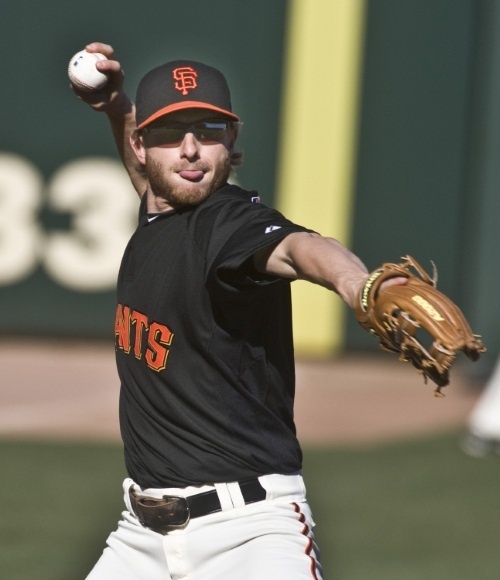 So with Renteria officially not on the Giants next year, are we doomed to scramble for a shortstop, putting our faith in prospects, or trading away our ironclad pitching staff for a new half-decent shortstop? What is the future of the Giants? Mike Fontenot? Ryan Rohlinger? Emmanuel Burris? The corpse of Omar Vizquel? Well, no. 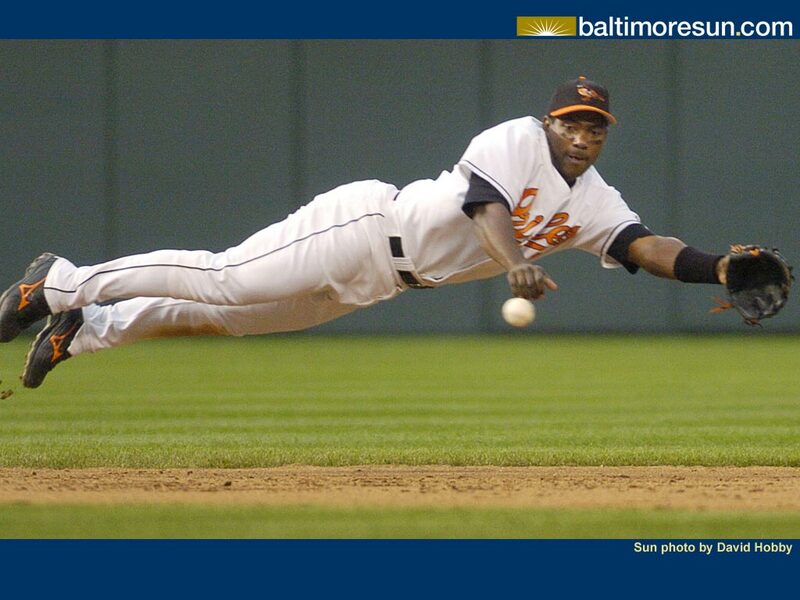 We signed Miguel Tejada. Remember, this whole kerfuffle with Renteria was all about signing a backup shortstop. We signed a starting shortstop back in November, one with a decent bat and a reputation for reliability and playing almost every game (since 1999, he has played at least 156 games all but one year, including 6 seasons in a row in which he played every game). In an ideal scenario, the backup shortstop role would really just be someone who can get the occasional hit off the bench, a pinch-runner, and someone who won’t make too much of a mess of things at defense. In a less-ideal scenario, in which Tejada is victim of some kind of freak gasoline fight accident, the Giants would have to do some heavy trading to get a new shortstop, but I’m more willing to take that risk than overpay Renteria again. A lot also depends on Pablo Sandoval’s performance. If he manages to bat his way into a starting job it’ll answer a lot of questions about the Giants infield. The ZiPS projections are optimistic about Panda Sabloval’s 2011 season, putting him at .295/.346/.474, with 19 HRs (and 4 triples and 4 steals!). Of course, it also predicted he would hit .320/.368/.516 in 2010, so it ain’t a perfect system. In terms of in-house solutions for backup shortstops, we’re probably looking at having a few different utility infielders: Mike Fontenot, Emmanuel Burriss, and Ryan Rohlinger. Mike Fontenot, the mutton-chopped player the Giants got from the Cubs mid-last season, is really more appropriate as a second baseman. He hits for average pretty decently, but with no power and not enough speed to really make any difference. He’s only ever played 13 games at shortstop in his 5 seasons in the majors, and he made 3 errors in 32 chances. Anecdotally, it looked to me like he didn’t have a good enough arm to make the throw to first from the shortstop position, and even though we don’t have a good sample size for him at SS, I’m not convinced he should be the go-to backup. Fontenot’s also going to be 31 years old next year, so my guess is that he’s basically as good as he’s going to get. Emmanuel Burriss, 26, and Ryan Rohlinger, 27, are both relative unknowns. 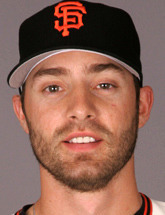 Burriss played 47 games at shortstop for the Giants in 2008 with a .966 fielding percentage, which isn’t too bad (the league average is .976). He’s played 230 games across 4 seasons at shortstop in the minors with a .950 fielding percentage, which isn’t great. His upside really comes from his speed on the base paths, something that the Giants really don’t have from anyone not named Andres Torres. 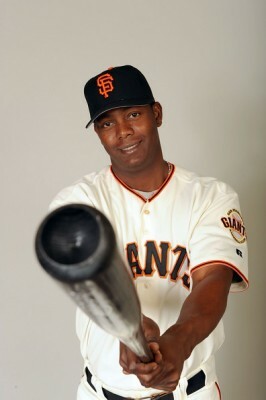 He went 24/33 in stolen bases in basically two seasons on the Giants, and 123/162 in 5 seasons in the minors. He’s hit .283/.342/.337 in the minors, but just .264/.329/.302 in the majors. You can’t steal bases if you can’t get on base, so he may just be a late-inning pinch-runner, but as long as he can play passable defense, it could still be worth having him on the roster. Ryan Rohlinger is even more unknown in the majors. He had his best year yet in 2010 in AAA Fresno, splitting time between 3B and SS. He’s got a .978 fielding percentage as a SS over his 5 seasons in the pros, and hit well (.311/.392/.477) in Fresno. He’s not quite the base-stealer that Burriss is, but he’s still faster than 98% of the Giants. He’s got some pop, probably our best option at 3B if Sandoval doesn’t quite come through. He only batted .136/.186/.197 in 71 plate appearances in the majors, but that’s such a small sample size that I’m willing to throw it out, especially given his recent impressive numbers in the Pacific Coast League as a Grizzly. Given regular playing time because of a Tejada injury or a Sandoval collapse, Bonds forbid, Rohlinger could become an effective starter. So yeah, I think we’ll be okay. Hopefully none of them will see much playing time, but it’s not the end of the world if they do. Edgar Renteria was far from the sure thing his salary would suggest, so I’d rather save the money and roll the dice on our own “prospects.” Having a healthy Mark DeRosa will also give Bochy more options, so it’ll be exciting to see what we end up with.